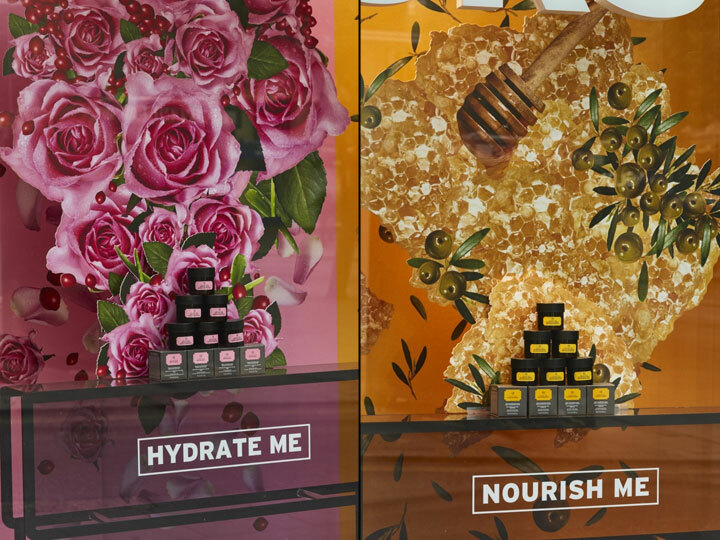 With today’s image overload shaping the way customers react to what they see, just a pretty window may not get the attention of passers-by and convince them to enter a store. 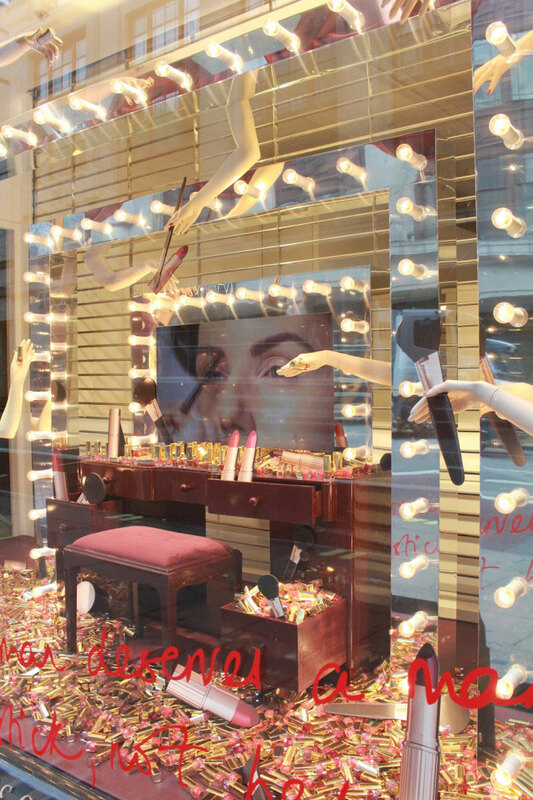 More than beautiful and attractive, storefronts and window displays have to be ingenious and surprising. 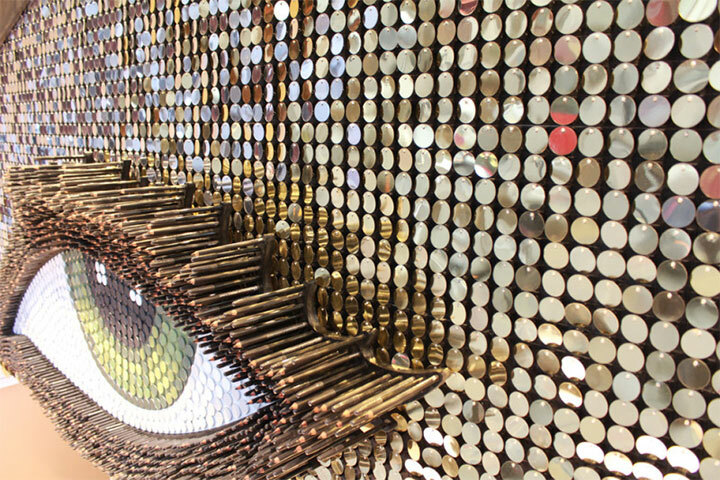 To keep potential customers interested, some cosmetics stores have found unique ways to make their face to the world worthy of a stop. 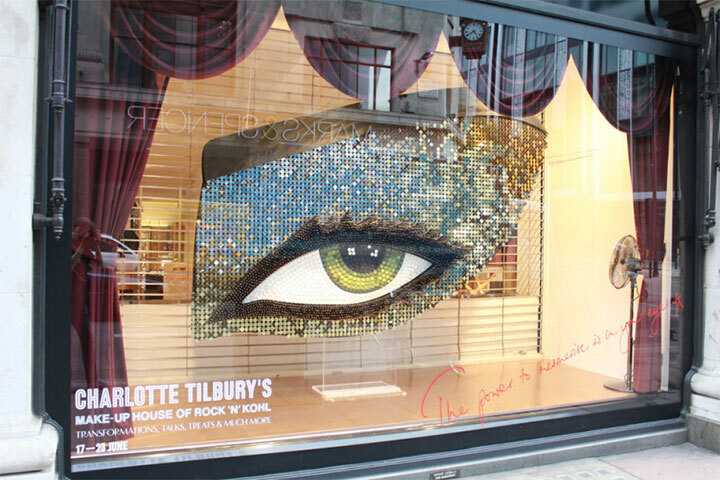 Charlotte Tilbury Make-Up House of Rock’n Kohl window display in the iconic Selfridges store in London does not turn to any additional decorative elements to introduce the cosmetics collections inside. Instead, it uses make-up as the building block of an artistic creation in which lipstick and kohl become the main attraction. 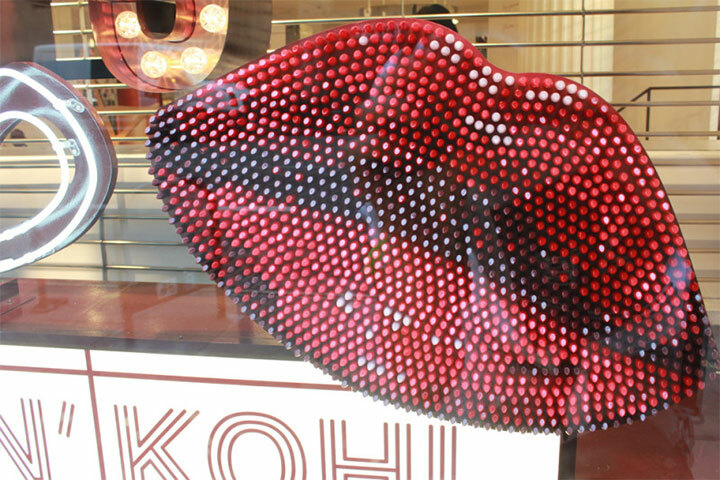 Designed by StudioXAG, the displays include a giant eye with kohl eyelids and red lips made of lipstick. The choice of “materials” is not only a clever and appropriate design decision, but it gives the display an additional note of authenticity: the lips and eye flaunt the very colors of Charlotte Tilbury’s make-up, with no need for chromatic intermediaries. In another window, a glimpse into a backstage dressing room, drown in an overflowing sea of make-up, has a romantic, dreamy feel. Telling a story (or setting the scene and letting customers fill in the details) always works. The same design studio is behind the window creations of a Bond Street store in London. 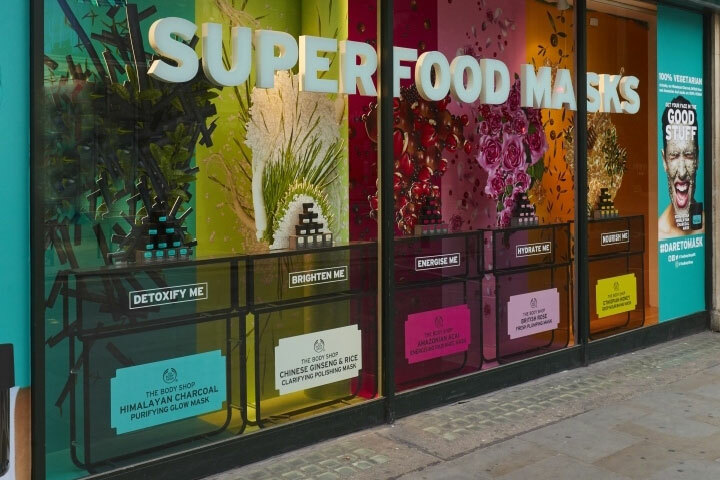 Here, The Body Shop diplays its superfood masks and their main ingredients using oversized graphics printed on foamex. 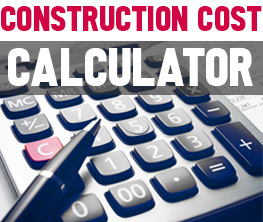 While the colors are exuberant and catchy, the message is simple, easy to grasps and effective. This is marketing “straight talk,” where the very clarity of the message makes it fascinating. However, when done right, taking a more subtle approach has its virtues. When we designed the storefront and window displays of the Beauty Bakerie store in Westfield Mission Valley, San Diego (while creating and bringing to life the entire interior concept), we went for fun colors and the simple juxtaposition of its two basic ideas – beauty and dessert. Flanked by vanity-style lights, the cosmetic displays are placed underneath scrumptious images of sweet treats, reiterating the colors and motifs inside the store. While we kept the drama in check, we created an intriguing element of surprise by pairing these two unlikely elements in one window display. This has worked in making potential customers step in to learn more about the store’s products.